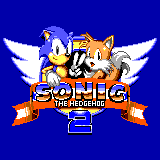 Sonic The Hedgehog 2 - Games - SMS Power! 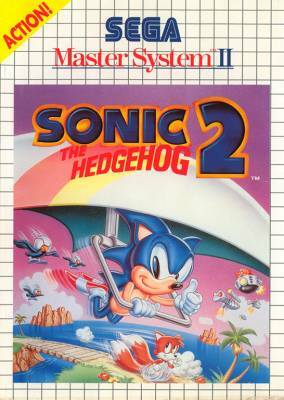 Game Sack - Mario vs Sonic - Which is Best? 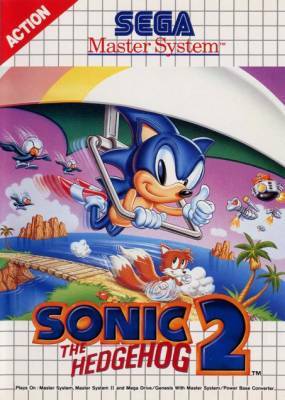 Ride a runaway railcart, fly a hang glider through a raging storm, and shoot through a mind-boggling maze of twisting pipes as you and Sonic The Hedgehog™ race to save Tails and his friends from the evil Dr. Robotnik™! 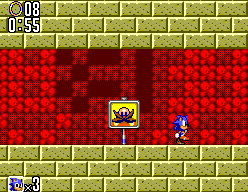 It's the hottest 8-bit action ever! 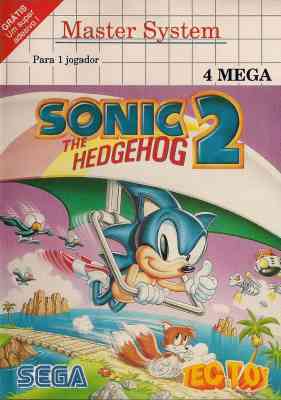 Rare "Master System II" packaging version. 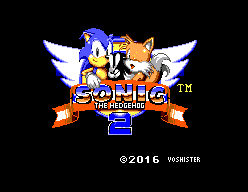 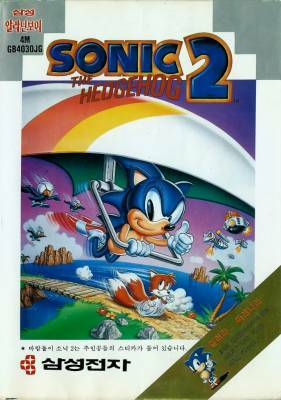 There is a development page for Sonic The Hedgehog 2. Visit it to see technical discussion of this game.